Who would know that the decomposition of these items was so long. My family has always done it’s best recycle and do composting – we even shred office papers and junk mail and add to garden soil. 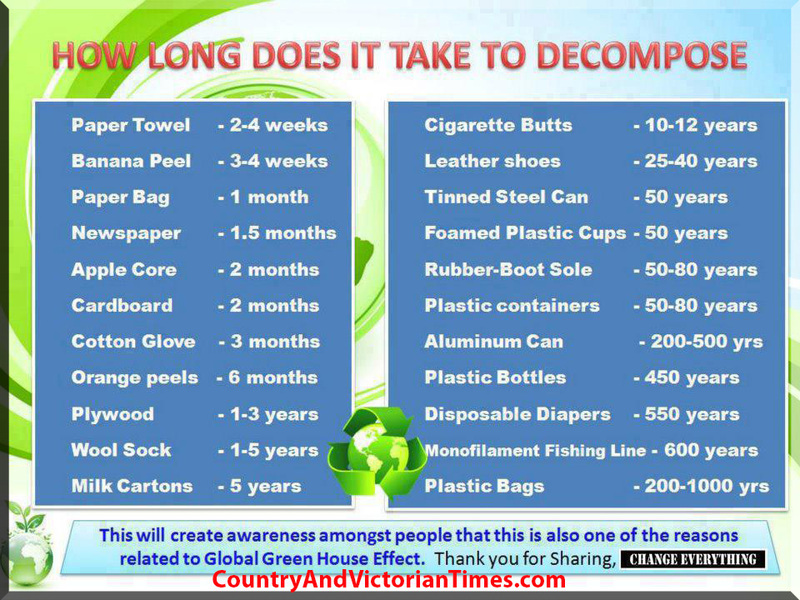 The items decomposition years are staggering – will make me look more at our consumption of products in the future. This entry was posted in Home, Car, Yard, and Pets, ~Gardening, ~Recycle & Upcycle and tagged compost, composting, Decomposition, Gardens, Mulch, Organic matter, Soil, Soil and Additives, staggering, trash, years, ~Home. Bookmark the permalink.